Just a decade ago, your standard PC or laptop probably had a hard drive that could hold between 80 and 120GB of data. Ten years later, the typical device hard drive holds anywhere from 256GB up to a hefty 1TB. The point is that with video and other media-intensive data, file sizes keep getting bigger — and unless you’re prepared, your hard drive can fill up a lot faster than you think. Forget maxing out drives when you can just ship it all safely to the cloud. 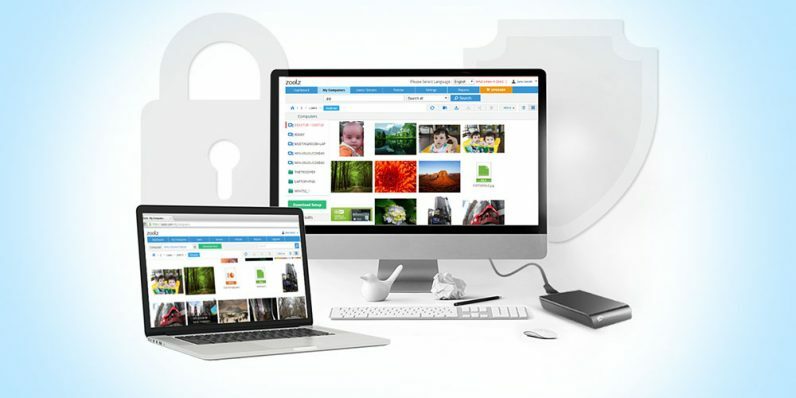 Right now, Zoolz is promoting one of their biggest online storage options ever: a full 3TB of cloud real estate for life for only $74.95 from TNW Deals. Once you’re signed on with Zoolz, the process is simple. Using Zoolz’s Smart Selection feature, you can quickly pick through all your files and determine their ultimate destination. You can either drag-and-drop it to your 1.5 TB of Instant Vault storage for stuff you might need regularly; or to your 1.5 TB of Cold Storage space for data you don’t use very often. In either case, your files are fully protected behind Zoolz’s military-grade AES-256 encryption. And with all that uncluttered drive space, your system will run more smoothly for other cool Zoolz features like automatic backup scheduling, bandwidth throttling, icon overlay, file retention and more. Cloud storage usually isn’t cheap. In fact, lifetime access to 3TB of cloud space with Zoolz usually costs over $2,000. Save yourself a load of money, hassle and drive space now with this limited time offer at just $74.95.